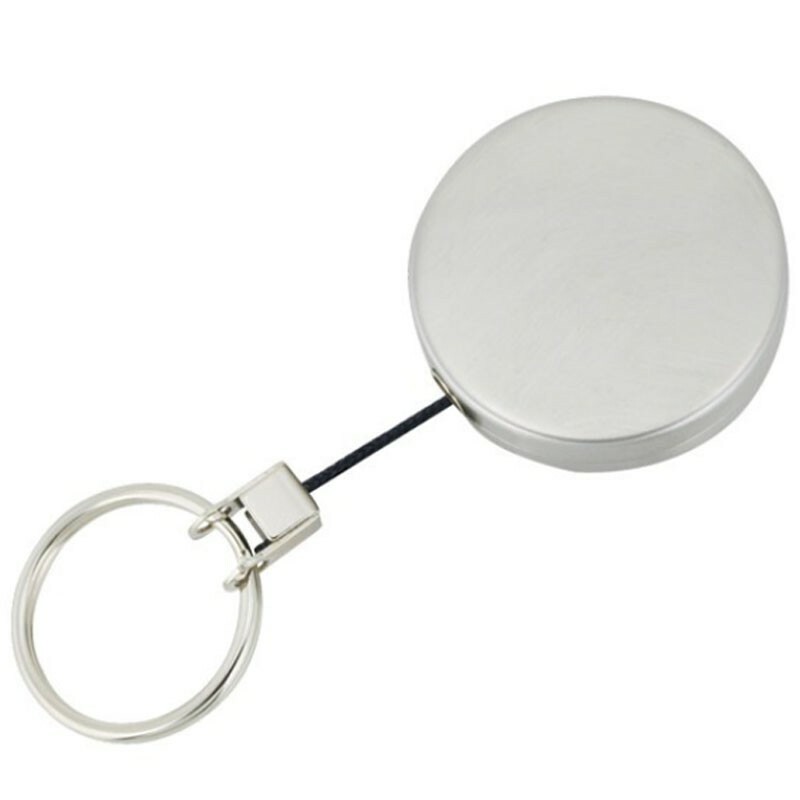 SKS Medium Metal Retractable Key Reel With Cord. Size: 43mm diameter x 900mm long nylon cord. Fixing: Belt/trouser clip. Finish: Chrome Plated.